Go on a time travel adventure with the whole family! Gather chicken eggs, attend a one-room school, visit with the village blacksmith and walk our wooded trails. Take a refreshing step outside the 21st century and into the world of Wisconsin’s rich immigrant past. Opening for our 2019 Season on May 4. WHAT IS OLD WORLD WISCONSIN?  Use our online calendar to see all the exciting events, activities, and programs happening at Old World Wisconsin. Make your wedding day or private event historic and create a story that will be remembered for generations. From Historic Brewing to Apprenticeship Workshops, discover the special programs offered at Old World Wisconsin. Give your students a hands-on, minds-on day of exploration and inquiry. Bring your group on an exploration of immersive historical environments! What a wonderful outdoor museum in a stunning setting. We have been coming here since the late 1970s and it never, ever disappoints. Old World Wisconsin is a gem."